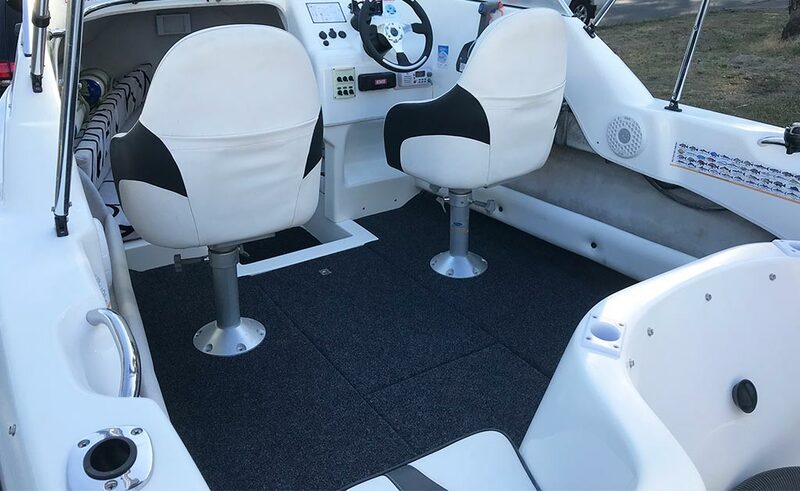 Boats unfortunately aren’t built like they used to be… We were asked to replace the soft floor in this Savage half cab but when the floor was removed we found that the stringers were made from non-waterproof plywood and had delaminated. It is astounding to think that a well known brand such as this would cut corners to this degree! We also discovered that the floor was also the same plywood hence it becoming soft. 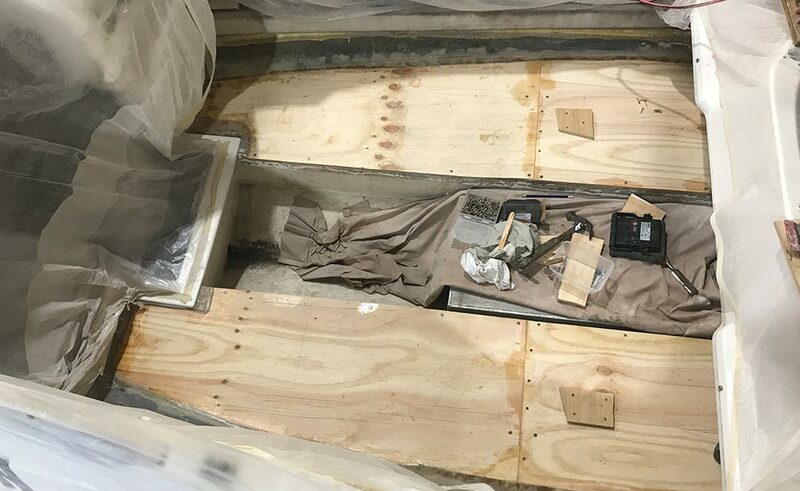 Because the stringers were still sound and not rotten, we built a dam along the top of the stringers and poured epoxy resin into this trough until it filled all voids. This technique bonded the veneers of plywood back together to make them structurally sound once again. With this done we could get back on track with our original task of replacing the floor! We also replaced the floorboards and the supports which consisted of timber strips epoxy glued in place. The original aluminium Z-extrusion usually cause more harm than good because as soon they take weight they dislodge the screws and let water in. 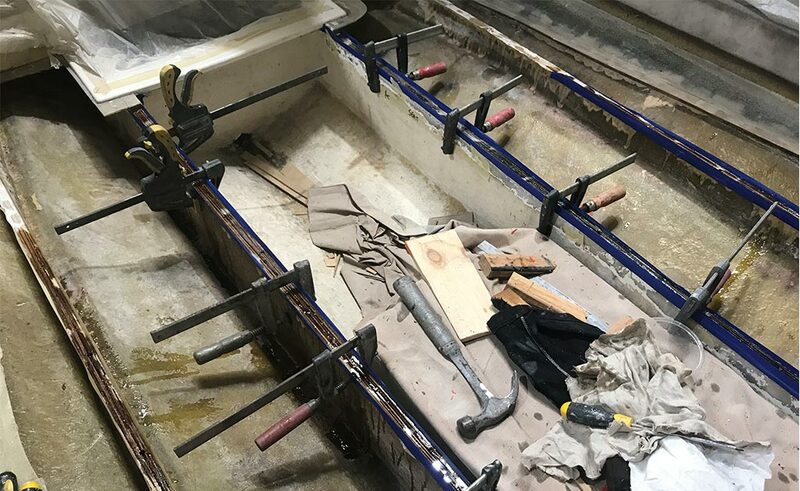 There were a couple of other gelcoat repairs to do and the boat was ready for delivery. Looking as good as new the boat was ready for action once again!